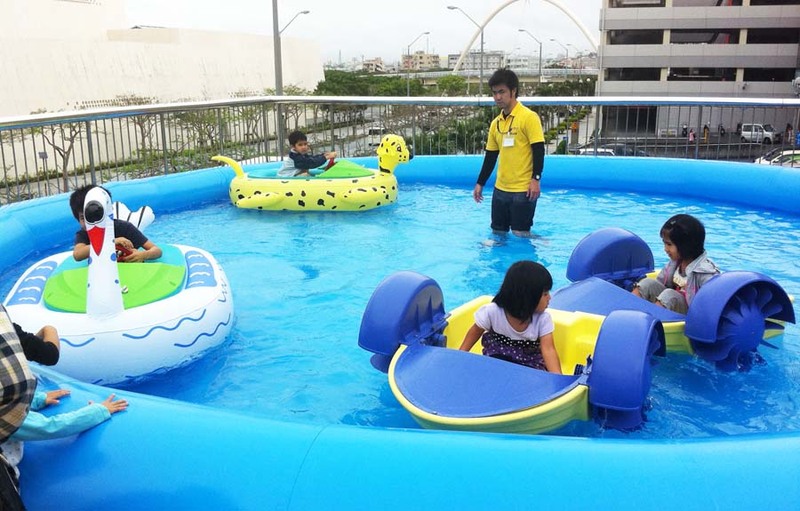 Kids’ Village offers a wide variety of rides and slides for rent. 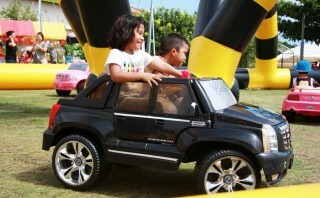 Electric toy cars, electric animal riding, trampolines, air-sliders, temporary mini water pool and boats, and much more! … and boats are all available. Kids’ Village was created in 2010 because the owner, Glenn McIlvride, and his wife thought there were no play grounds for kids, or even a place to kids playing to go have fun in Okinawa, so they decided to create their own play land, to include such as portable amusement grounds like in the United States. Their main work right now is make play grounds inside shopping centers like AEON or SAN-A, at local festivals or events at outside, schools, hotels, and sometimes on bases. They get calls from mainland Japan, too. The price includes transportation, installation and removal of the equipment, so all the customer has to do is to sit back and let the kids enjoy. Their theme is “Give a dream and smile to all kids in Japan, deliver fun and happiness”. They announce their schedule of portable play grounds at their website, http://www.kidsvillage.jp/. Kids Village usually gets equipment from foreign countries and adds items every year. McIlvride says by now they have a fairly large selection of items in storage. 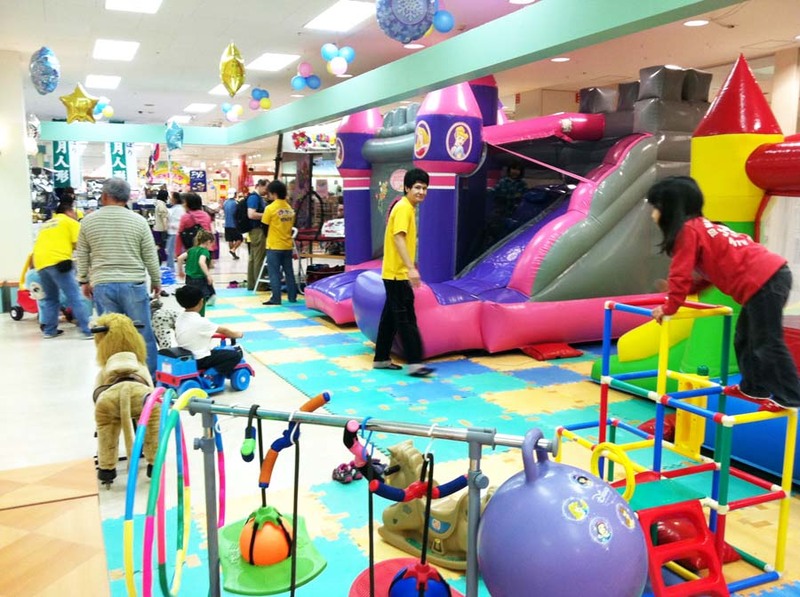 The most popular items for kids are bouncers, they say. 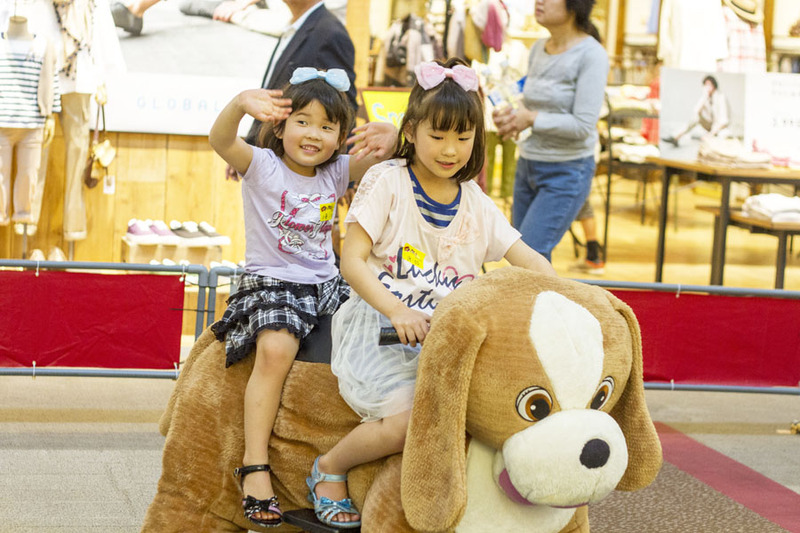 Kids play full swing with bouncers, and its still new for Okinawan kids. That’s why kids are attracted by bouncers. Trampolines, electric cars, electric trains, and animals are also popular, and G-ball, which is an air filled ball with people inside and rolling is getting popular now.